Genesis of Drones by boredmob.com for the OUYA is a pixelated action game. It is up to Joe and Gem to retake control of humanity as drones increasingly put their stranglehold on cities and industries. A handful of levels will test your ability to suppress evil forces and rescue the various locales. A lot of action of the platform variety await you in this game. Are you ready to take on the robot forces and restore order to this crazy world? I'll let you know what I think of "Game of Drones" with this blog post. ^ from: www.ouyactu.com (best I could find) - Genesis of Drones. Can you save the world from the evil drones? Genesis of Drones is simplistic at its core. It combines elements of action and platforming into its levels. You have only one life for each level. So don't run into an enemy or fall off the map. Luckily, you can give yourself a chance by getting a suitcase. This suitcase is what you use to attack enemies. Another powerful is very important as you're able to fire projectiles for long-range attacks. It doesn't matter if you choose Joe or Gem- whichever one you choose is basically personal preference. Some levels have you commandeering vehicles. You will have only a certain amount of energy in those vehicles. If you fail to complete the level, you must start from the beginning of the level. Any level can be revisited to try to get a higher score. Genesis of Drones: My Review. Genesis of Drones is nothing spectacular, but it is a fairly good platform action game. You are not going to find the most engaging and addicting game play with this game, but you will find a fairly challenging title that delivers a good amount of action. It is a free game for the OUYA. This would be the kind of game to entertain you if you're bored. You can find out more about BoredMob by going to boredmob.com. More on "Genesis of Drones" can be found on OUYA's website at Genesis of Drones (OUYA). ^ "Genesis of drones: many short lifes of joe"
There isn't really too much to this game, so my look at this title is fairly limited. I at least have given you a good bit of information on it. Well I hope you enjoyed this review. 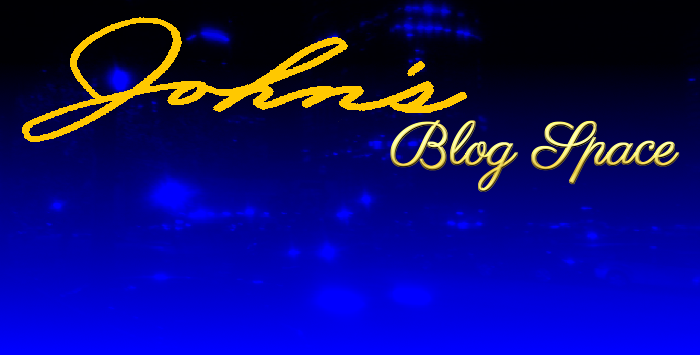 Stay with "John's Blog Space" for more of anything and everything that I've been preaching since this blog's first official post. Thank you for reading! Take care and be well.